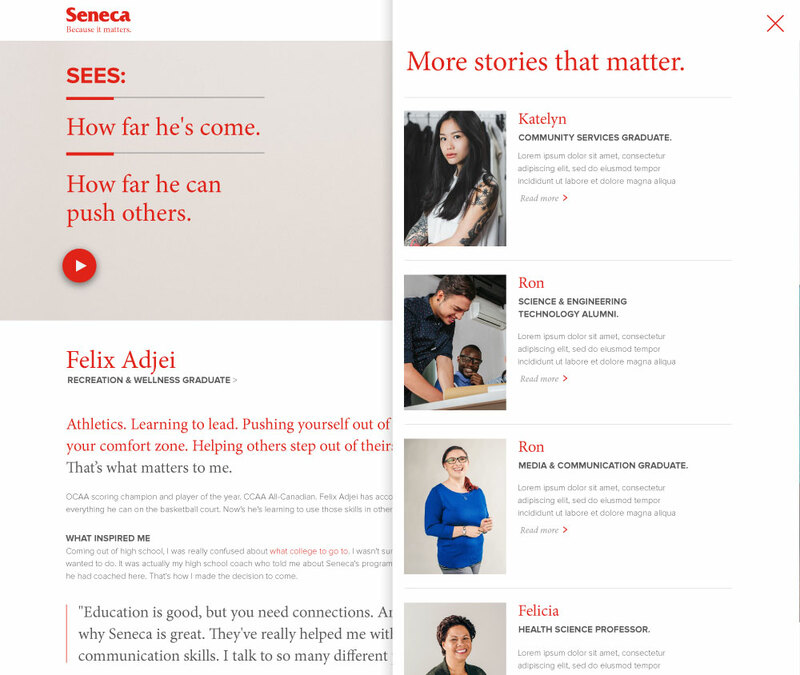 Seneca offers a breadth of programs and studies people aren’t aware. Seneca aims to target first choice students, bringing the college to be more desirable. 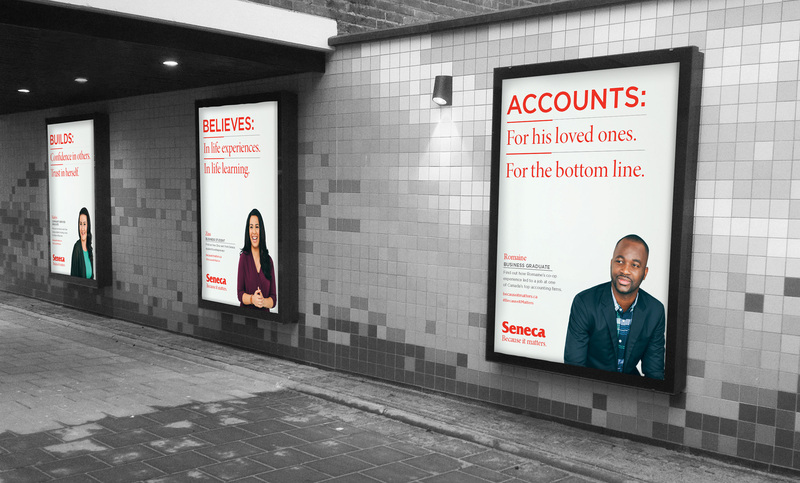 They challenged us to create a campaign experience that elevates Seneca’s brand focusing on the quality of their students during and after their studies, while communicating their ‘it’ matters the most. Care was given to create a visual identity to Because it Matters attaching the Seneca logo mark. A series of profiles were created for this advertising campaign, they needed to be clean, simple, clear and professional to communicate what matters to them. 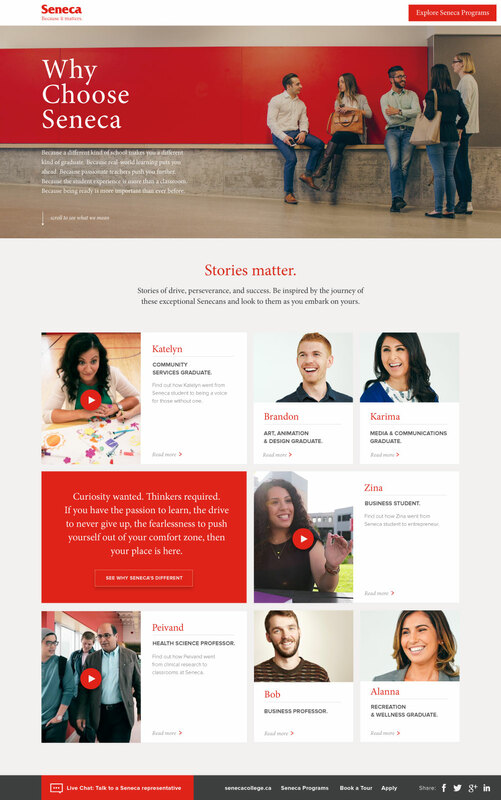 The hook is to get people to be curious about the individual and push them to the website where they will find detailed stories about their journey. To compliment the advertising campaign, a thorough understanding of how people will navigate the website is crucial. Mobile will be the key audience, users will be interacting with the website on the streets as they notice the ads. 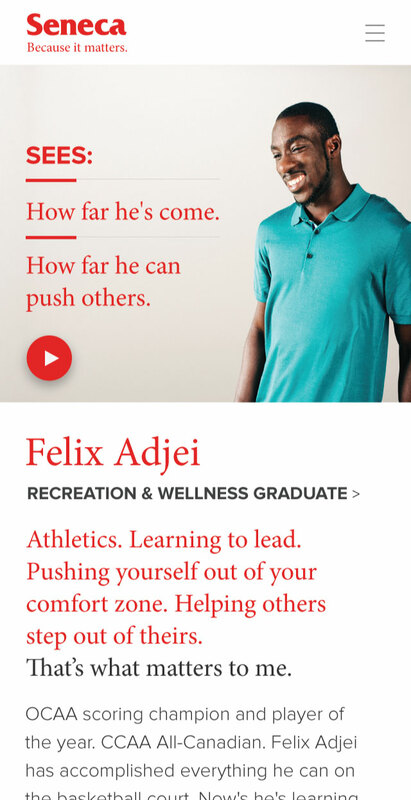 Designing the experience with mobile first is where we started. 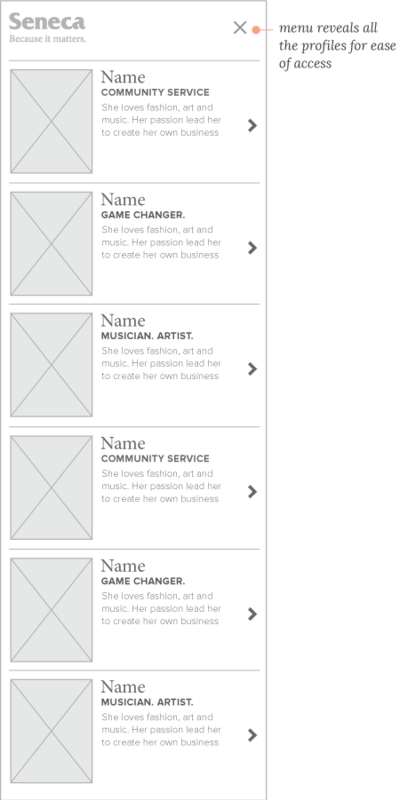 To keep this as a exploratory website, we’ve linked each profile stories with other relevant profile, so navigating from one to another will be a seamless experience.